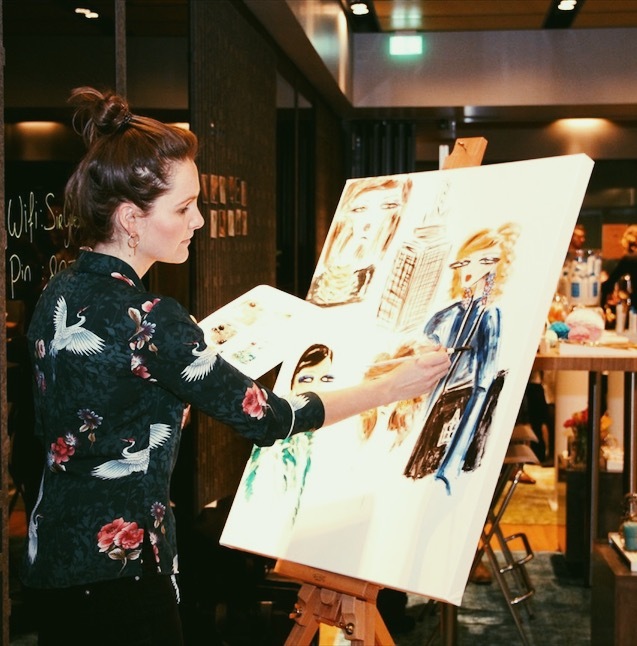 A while ago was invited to perform live art during the Lifestyle Business Fair, hosted in the beautiful Sir Adam Hotel, located in the Adam tower in Amsterdam. During this evening I interacted with over 200 powerful business women who gave me the perfect input to come up with an impression of the night on canvas. I believe live art and illustration is such a nice variety on my daily business in my workspace.